St. Goar is not only a bewitching town with a lovingly preserved medieval heart and acres of vineyards, but is also a great base to explore the Rhine Valley region. 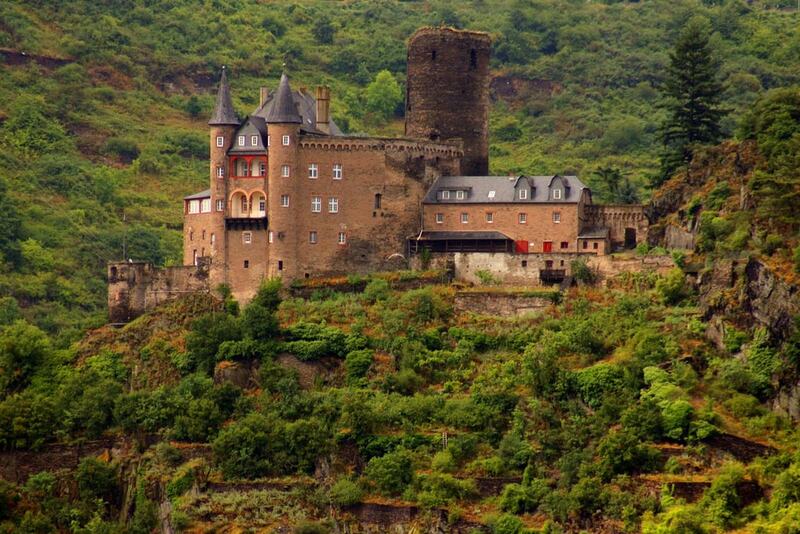 Here we bring you the very best sights of St. Goar, from land and from water, from the hilltops to the river banks. Of the series of castles adorning the banks of the River Rhine, the 13th century Rheinfels Castle is the largest and certainly one of the most romantic. Though most of it is in ruins, it is worth exploring for its tall gate tower, remains of the apartments and the cellar. Today, in what used to be the castle chapel, there is a museum that educates visitors about the castle’s history. You get to enjoy a beautiful view of the river and valley from the castle, and also an Instagram-worthy panorama of the castle while on a cruise on the Rhine. Gazing at the town of St. Goar from across the river is Castle Katz in Sankt Goarhausen. A sense of mystery surrounds this beautiful castle with turrets and arched windows, sitting high up on a ledge. Unfortunately, this castle is private property and tours are not available. But it certainly provides a grand backdrop for your holiday photos. Deutsches Puppen- und Barenmuseum (German Dolls and Bears Museum) is a perfect place for the family to spend a couple of fun hours. The museum houses an immensely enjoyable selection of dolls, soft toys and puppets spread over three floors, collected from various corners of the world. Visitors especially love the doll houses and the immaculately arranged kitchens, living rooms and bedrooms. Lorelei is a steep slate rock that might seem insignificant at first glance. But wait till you hear the myth surrounding it and you will understand why thousands of visitors flock to take a look at it. In the ballad Zu Bacharach am Rheine, we hear about the stunning Lora Ley, who, shunned by her lover, caused the death of many men in revenge. 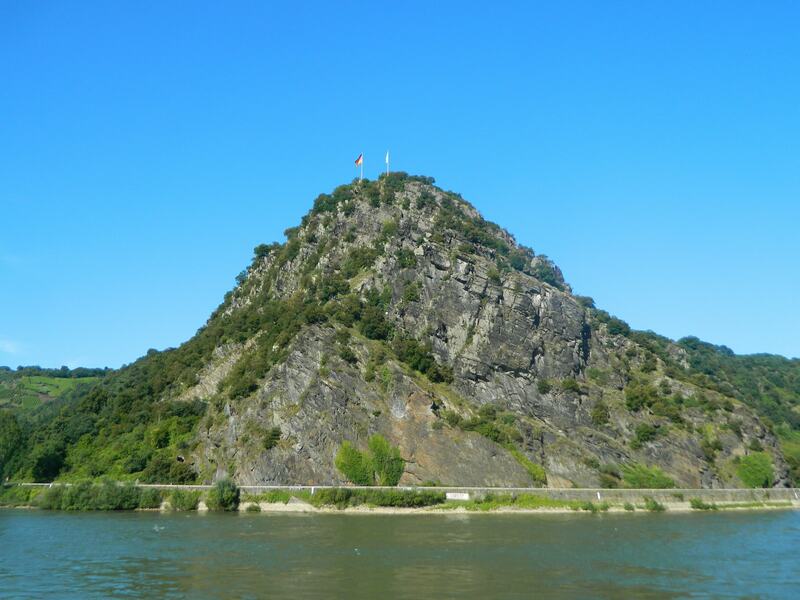 On her way to a nunnery to serve her banishment, she requested to be allowed to view the Rhine landscape one last time from the top of this rock, and jumped into the water when she thought she saw her lover there. A more modern myth describes Lore Ley as a gorgeous woman who used to sit on the rock brushing her long golden mane, distracting sailors into crashing while crossing this comparatively narrow bend in the river. The tiny town of St. Goar has unique attractions to surprise you at every turn. Among them is the largest free-hanging cuckoo clock in the world! 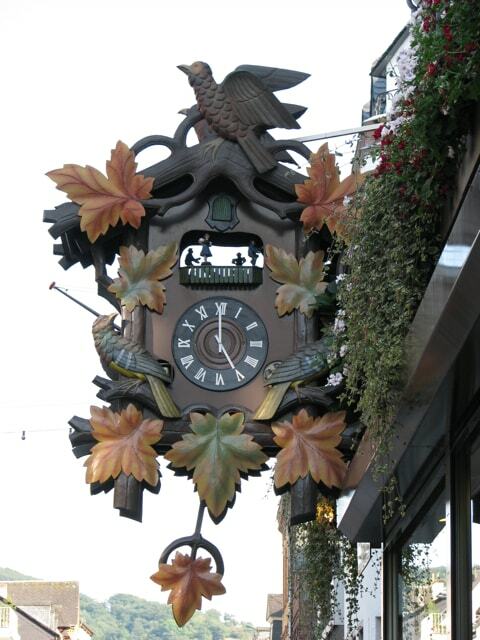 Hanging outside a souvenir store, this clock is around 3.5 meter high and 2 meter wide. Every hour, the little figures in the clock spin and of course, the cuckoo makes its appearance. This clock also has two faces. If you wish to purchase souvenirs to remember your holiday in St.Goar and Germany, this place is your one-stop shop. This family business has a huge range and specializes in great-quality and authentic beer steins, cuckoo clocks and other traditional souvenirs. They will also gladly ship your purchase to your home country. St. Goar is the perfect spot to hop off your Rhine cruise boat to explore one of the most picturesque towns along the Rhine. It is also a great starting point for a cruise southwards all the way to Mainz or towards Cologne up north. The views that you are rewarded with – hills topped with fairytale castles, dazzling vineyards, adorable hamlets and rolling hills – are sure to win your heart, especially on a sunny day. Rhine in Flames is one of the most spectacular festivals in the country and tickets sell out months in advance. Illuminated boats depart from several towns on the Rhine, including St. Goar, carrying passengers to the Loreley Rock to witness an amazing cascade of fireworks and lights aptly known as Rhine in Flames. On board, wine freely flows, accompanied by delectable local cuisines and cultural performances. 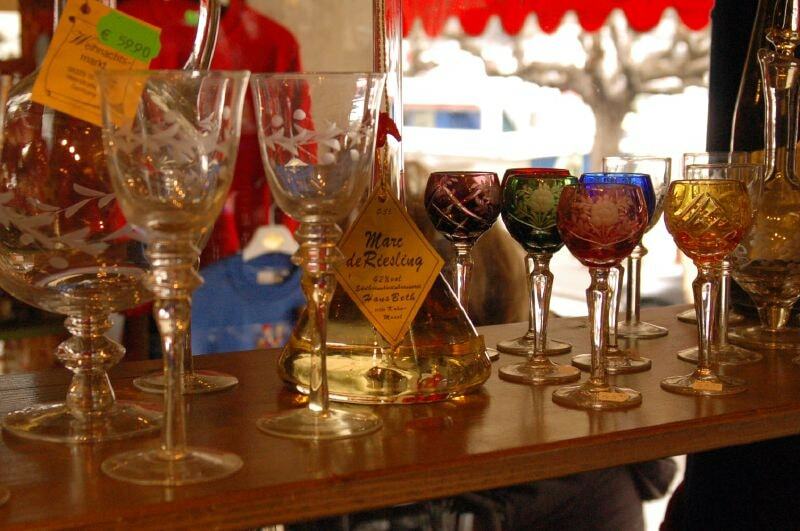 Stefan’s Wine Paradise is a favorite stop for travelers to indulge in complementary tasting of liquor while purchasing some for later. Customers are consistently impressed by the mind-boggling (including several award-winning) range of brandy, wine, rum, cognac etc. available here and the friendly attitude of the owner and staff. The shop is ready to ship your purchase to your home, and earns major brownie points with customers by giving away a free bottle of liquor to compensate for the shipping price! The shop also houses a selection of souvenirs, including cuckoo clocks. An adorable mini train starts at the main market square of St. Goar (a few houses from the tourist information center) and rattles all the way up to Rheinfels Castle. Not only a fun ride for both adults and children, it is also a welcome option for those who wish to avoid the steep hike to the castle.